designs gaining favor after last year’s destructive wildres. The U.S. transportation system primarily relies on oil to transport people and goods from one place to another. Yet the transportation sector faces risks such as uncertain oil supplies and price volatility. The U.S. Energy Information Administration estimates that 76 percent of all the oil consumed in the U.S. is used for transportation and, within the transportation sector, the fuel mix is far from diverse. Approximately 92 percent of the fuel used in the transportation sector comes from petroleum. Many states are working to increase the use of alternative fuels such as electricity, natural gas, hydrogen and biofuels to diversify the fuels used in the transportation sector as well as support greater energy security, reduce greenhouse gas emissions, and provide price stability. Electricity may play a significant role in meeting these goals. Plug-in electric vehicles (PEVs) are powered by electricity produced primarily by domestic sources such as coal, natural gas, nuclear and renewable sources. Powering vehicles by using domestic energy sources helps states diversify the transportation fuel mix and increase the use of local energy resources. According to the U.S. Department of Energy, at least 25 plug-in electric vehicle models are currently available in the U.S. and more than 600,000 plug-in electric vehicles have been sold in the U.S. Consumers and fleets need access to affordable, convenient charging stations at home, at work, or in public areas. While access to charging stations has previously been an issue for consumers considering purchasing PEVs, manufacturers, automakers, utilities and state and federal agencies are rapidly expanding the network of stations. More than 16,000 charging stations now exist in the U.S., more than half of which have been built since 2015. The ISO’s alert followed an earlier notice by Southern California Gas Co (SoCalGas), the gas utility for the southern part of the state. SoCalGas issued a gas curtailment watch on Monday, notifying customers to be prepared to reduce gas use if needed, with power generators expected to burn more fuel this week than usual to keep air conditioners humming. SoCalGas, a unit of California energy company Sempra Energy, said the watch would remain in effect until further notice. High temperatures in Los Angeles were forecast to top 90 degrees Fahrenheit (32 Celsius) Monday-Friday with the mercury expected to reach 97 degrees on Wednesday, according to AccuWeather. The normal high in the city at this time of year is 84 degrees. Gas supplies are expected to remain tight in Southern California this summer and winter due to reduced availability from SoCalGas’ Aliso Canyon storage facility in Los Angeles, following a massive leak between October 2015 and February 2016, and ongoing shutdowns of several pipelines. SoCalGas projected gas demand would rise from 3.0 billion cubic feet per day (bcfd) on Monday to 3.1 bcfd on Tuesday and 3.2 bcfd on Wednesday and Thursday, while receipts of the fuel via pipelines into California would only total about 2.6 bcfd. That means SoCalGas will have to tap storage fields to make up the difference, which could hurt the utility’s ability to stockpile enough fuel to avoid curtailments for some power and industrial customers on the coldest days during the winter heating season. State and federal agencies have projected SoCalGas will only be able to deliver about 3.6 bcfd from non-Aliso storage fields due to the Aliso limitations and pipeline outages, which has only occurred once in the summer in the past five years but is fairly common in the winter. Please note the following is an excerpt from 2018 Sonoma Clean Power – Community Advisory Committee, Tuesday, July 24, 2018 a Public Meeting Agenda. . . (this entire agenda can be found under the resource document tab of StopTheCrime.net) read Item 1 below . . . Then you will understand why EVERY State in the Country is moving forward with a Bicycle and Pedestrian Master Plan which is a critical tool in building ALL citywide transportation systems . . . Gasoline for cars is being (displaced) eliminated! Gasoline vehicles are being eliminated! Everyone will be forced to purchase an electric vehicle, ride a bike or walk to reduce your GHG green house gas emissions . . . Check your cities Climate Action Plans and your cities Bicycle and Pedestrian Master Plan – we are all in very dangerous times . . .
We are ALL being herded into smart cities where we will be controlled and eliminated . . . DRAFT 2018 Sonoma Clean Power Integrated Resource Plan SCP’s Board of Directors has directed staff to file the CPUC’s mandated compliance IRP (see Appendix A), however the Board requests that all statewide planning be based on the more accurate information contained in this IRP. More detail on the differences can be found in Appendix A. Many thanks to Community Advisory Committee and its ad hoc group for working with staff on early versions of the IRP. While a low-carbon mix of power sources is essential, the use of electricity to displace gasoline in cars and natural gas in buildings (sometimes called “electrification” or “fuel shifting”) should be prioritized at an even higher level in California. 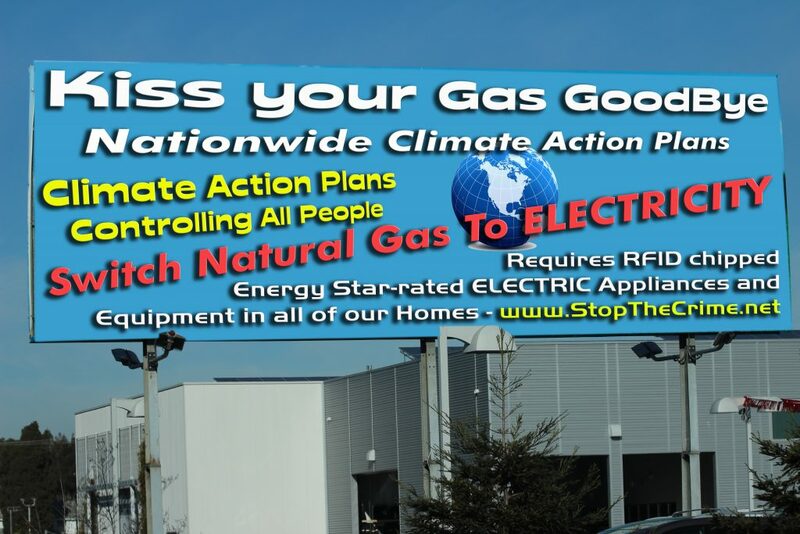 SCP is working to facilitate the reduction of total greenhouse gas (GHG) emissions across all sectors, for example with programs to rebuild burned homes with 24/7 renewable sources and no natural gas, bulk discounts on electric vehicles, and construction of an “Energy Store” where customers can purchase zero carbon technologies. Near-term grid reliability will require multi-year local resource adequacy (RA) obligations and upfront procurement of resources with local market power. Energy affordability through 2030 will require deep customer engagement to reduce expensive and high-GHG evening energy usage, and to use smart-grid devices to avoid costly utility investments. Concerns over the financial ability of CCAs to contract for new resources appears to be unfounded, and in any case, hasn’t impacted SCP’s ability to procure resources. CCAs working with their local public agencies have the potential to make the deployment of electric vehicle charging infrastructure less expensive, better utilized, and more accessible to disadvantaged communities and vulnerable populations. Solutions to system reliability will accelerate dramatically when the actual smart meter data is used for all customers and public access is provided to all real-time distribution grid data. There are also a few key areas where information has been added or enhanced, such as: bicycle and pedestrian count data, a section on the Countywide Safe Routes to School Program, and a focus on complete streets. The Countywide Bicycle & Pedestrian Master Plan Update was adopted in May 2014. The City of Santa Rosa is updating the Bicycle and Pedestrian Master Plan and we want to hear from you! … 4/28/18 7-11 am Sonoma County Human Race Marketplace at Herbert Slater Middle School Opens a … Community Open Houses. Mar 7, 2018 … The Plan Update 2018 is a critical tool in building a citywide transportation system… … Sonoma County Bicycle Coalition … The City of Santa Rosa is updating their Bicycle and Pedestrian Master Plan and they want to … Santa Rosa Bike/Ped Plan Update Open House July 25July 12, 2018In “advocacy”. Dec 4, 2014 … The update to the 2008 Bicycle and Pedestrian Master Plan was driven by the need to address the … for pedestrian and bicycle planning in Sonoma County. …. growth was in the form of single-family detached housing developed in isolated …. They include neighborhood parks, community parks, open. The 2010 Bikeways Plan represents the first major update to …. 8 SCTA Countywide Bicycle and Pedestrian Master Plan …… Policy 2.23: Require dedication or purchase of right of way for Class I bikeways as part of open …. to walking and bicycling, such as bike-to-work days, walk and bike-to-school days, senior walks and.